Startseite Erweiterungen MyBB 1.6.x Themes ! Slick Blue Theme !
! Slick Blue Theme ! 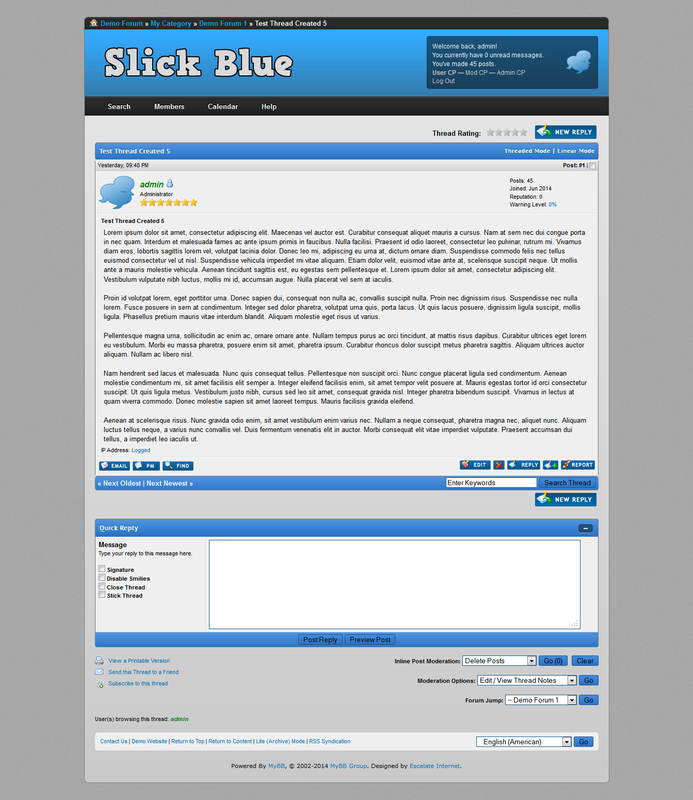 An awesome slick blue theme for MyBB! 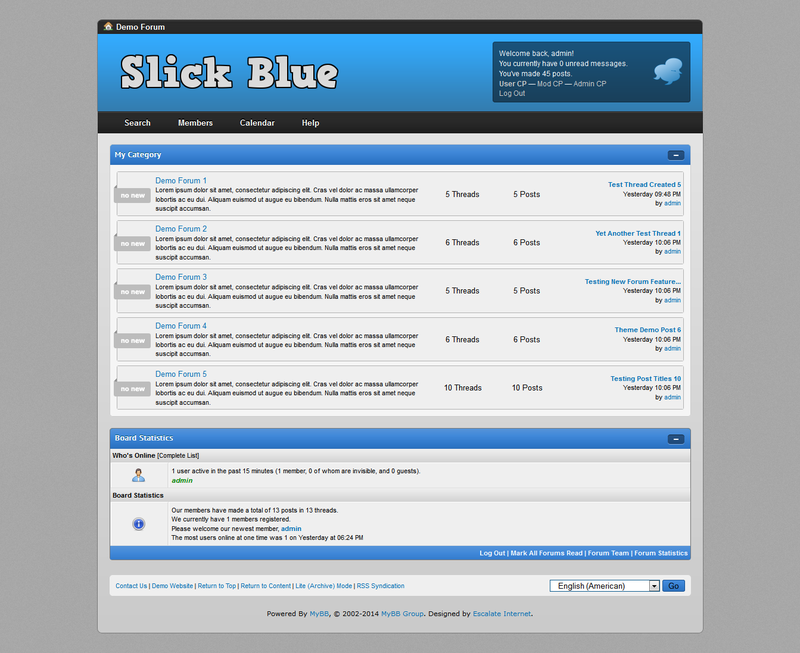 Slick Blue Theme works with all versions of MyBB 1.6.x and may be compatible with MyBB 1.8.x once it's released. This theme is 100% free to use! No upgrades, no upsells, no hidden fees!